A fascinating reference to some simple yet handy devices that can be created by the amateur in a home workshop. 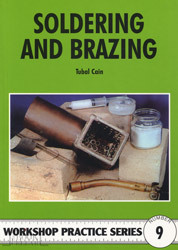 A Workshop Practice Series guide to joining metals through soldering and brazing. An introduction to spindles for the model or amateur engineer. An easy to understand guide to the design and manufacture of springs in the home workshop. 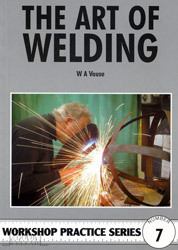 This Workshop Practice Series book explains the basics techniques of welding. A guide to basic foundry operations for the model engineer and home enthusiast. A single volume reference with a comprehensive range of mathematical data for the home engineer. A comprehensive yet accessible guide to building or converting a workshop space and then equipping it to serve a wide range of metalworking activities for the model engineer.